Members of the Economy League of Greater Philadelphia tour Woodland Avenue. In 1996, a partnership between Southwest CDC, Woodland Avenue Presbyterian Church, and Wayne Presbyterian Church formed and facilitated the development of a comprehensive economic study of Southwest Philadelphia. This partnership, known as the Southwest Economic Conference, received tremendous support and participation from the surrounding community as well as a number of elected officials and city and state agencies. The Southwest Economic Development Strategy, developed for Southwest Economic Conference by Urban Partners, identifies 10 initiatives that are needed to improve the economic health of the area. Click the links below to learn more. This study has guided Southwest CDC’s community revitalization and economic development efforts, and we have worked to successfully implement many of these initiatives. 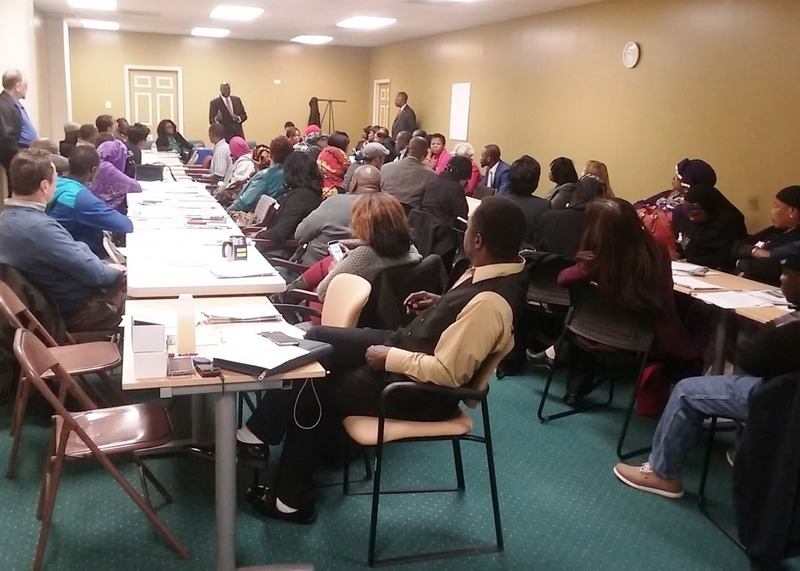 Southwest CDC organized the Woodland Avenue Business Association and continues to coordinate quarterly meetings, business workshops and other promotional events. Assisted 10 businesses in the application process for Storefront Improvement Project in 2015. Assisted eight businesses in applying for and received the Business Stabilization Grant from The Merchants Fund totaling. Provided updates to Southwest businesses during the installation of the new ADA compliant curb ramps and new timed traffic lights. Participated in Litter Convening Group meetings facilitated by Commerce Department and Keep Philadelphia Beautiful. Since 2007, SWCDC has been cleaning the litter from Woodland Avenue. For the first six years, Southwest CDC managed the program with funding from State and private sources. In 2013, the Philadelphia Commerce Department awarded Southwest CDC funds which allowed for 50 or more hours of street cleaning, bandit sign removal, inlet cleaning along the eight block core retail section of Woodland Avenue. Southwest CDC has helped two businesses to obtain $12,000 in financing through a partnership with Kiva. Southwest CDC has helped 11 Woodland Avenue businesses to access $108,000 in grant funding from the The Merchants Fund. 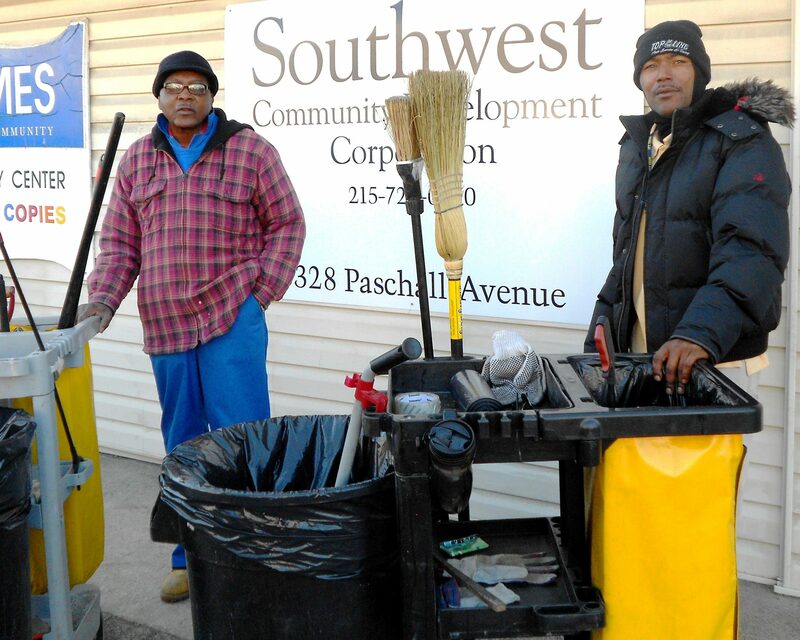 Southwest CDC works with city agencies to ensure that all businesses in Southwest can access available programs and services, such as the Department of Commerce’s Storefront Improvement program and Streetscapes, Corridor Beautification, and Corridor Cleaning program. Brownfield Redevelopment: In 2015, Southwest CDC engaged a team of graduate students from the Temple University Graduate Planning Studio to investigate the level of environmental contamination in the community. This effort resulted in the report Addressing Brownfields: An Inventory & Redevelopment Plan for Southwest Philadelphia which identified over 350 properties that are considered either existing or potential brownfields. Southwest CDC is now working to encourage property owners to clean-up their properties. Backyard Junkyards: Southwest CDC has been extremely concerned with the proliferation of what appear to be small automotive junkyards and storage sites throughout Southwest, many of which are not operating entirely within the bounds of the law. We have created a Zeemap entitled SW Philadelphia Automotive Locations that shows the excessive numbers of these establishments currently impacting the community, and have worked with elected and city officials and other stakeholders to bring attention to issue as well as begin to identify potential solutions. Contact steven@southwestcdc.org if you have concerns regarding the status of a particular automotive or brownfield property or parcel. In partnership with the United States Green Building Council, Southwest CDC helped to create the Southwest Advisory Board, a community group that is focused on creating awareness and addressing environmental issues, including promoting environmentally sustainability and green friendly principles and practices.